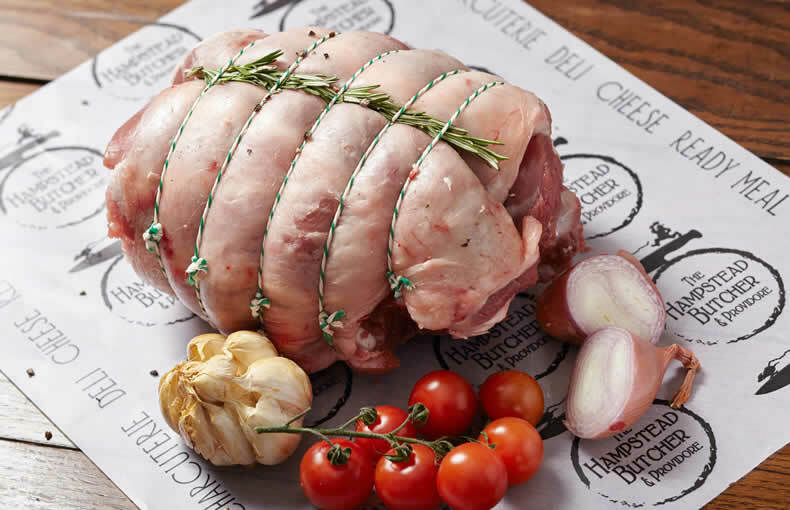 The most popular cut of lamb for roasting, the leg can be bought as a whole or half leg, either on or off the bone. Whether studded with rosemary, garlic, anchovies or lemon before roasting, or boned and stuffed, it will result in a superb Sunday lunch. New season (Spring) lamb is now in stock. Spring Lamb is more tender, sweeter and more delicate in flavour than hogget or mutton. We generally take our free-range lamb from 2 breeds; Suffolk, from the Oxford area and Texel, each with outstanding muscle development and leanness. 2.25kg - £52.90 Which size would you like?